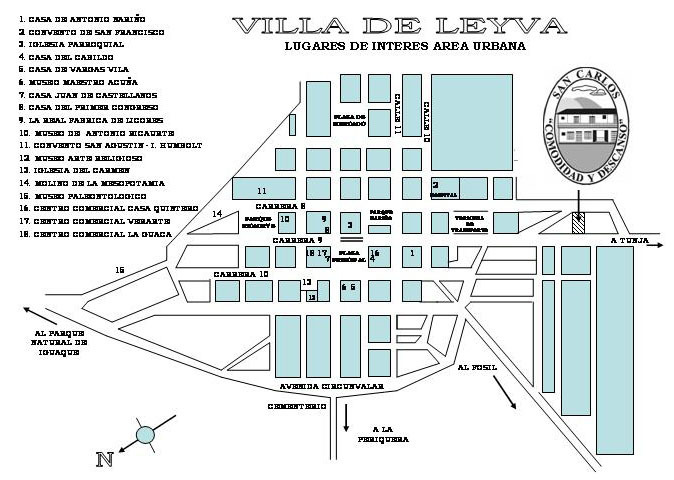 Villa De Leyva is located in the county of Boyaca, approximately 115 miles from Bogota. 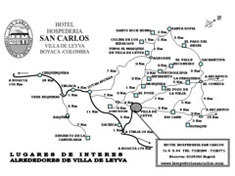 Villa De Leyva has an altitud of 2,145 m above sea level and has an average weather of 18°C. 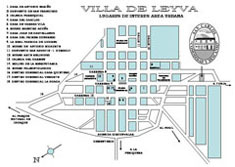 The town's main square and its streets made of traditional stones are still surrounded by colonial houses. When you visit Villa De Leyva, you should walk around, enjoy the mild weather and tranquil atmosphere. 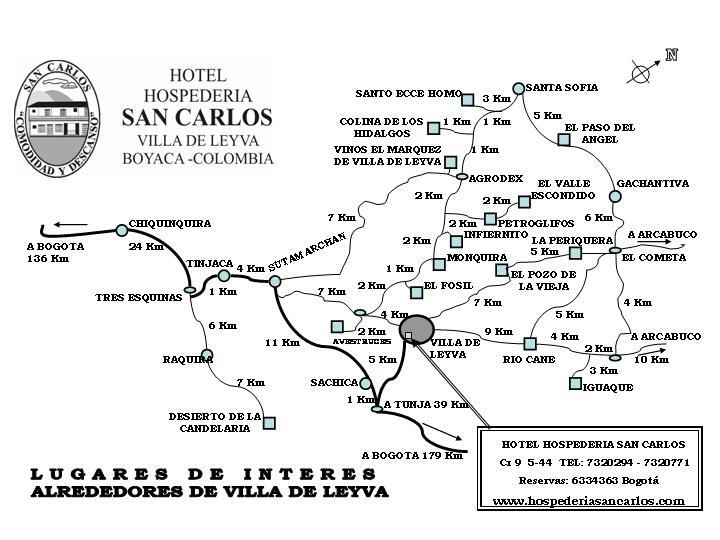 Surrounding Villa De Leyva you will find a land of deserts, olives, grapes, aromatic herbs and fruits; why not visit Santo Eccehomo, a monastery near by or further away La Candelaria. The region is also wel known by its untouch fosile remains, and you can visit these by horse or on a short journey by car.